Just earlier, Nintendo announced that a Super Smash Bros. 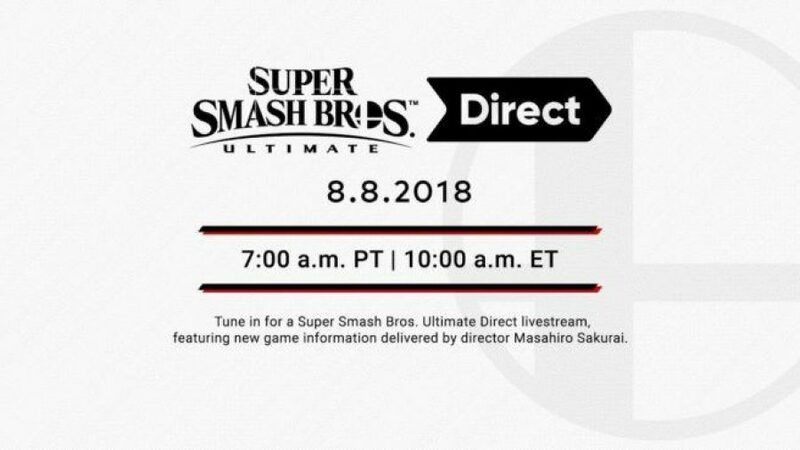 Direct is going to happen on August 8th, 2018. For those who don’t know, a “Direct” of Nintendo is basically a video showcasing some games. However, if it’s a game specific Direct, it means to show new information about that game, in this case, Super Smash Bros. Ultimate. You can watch the presentation as it happens below.